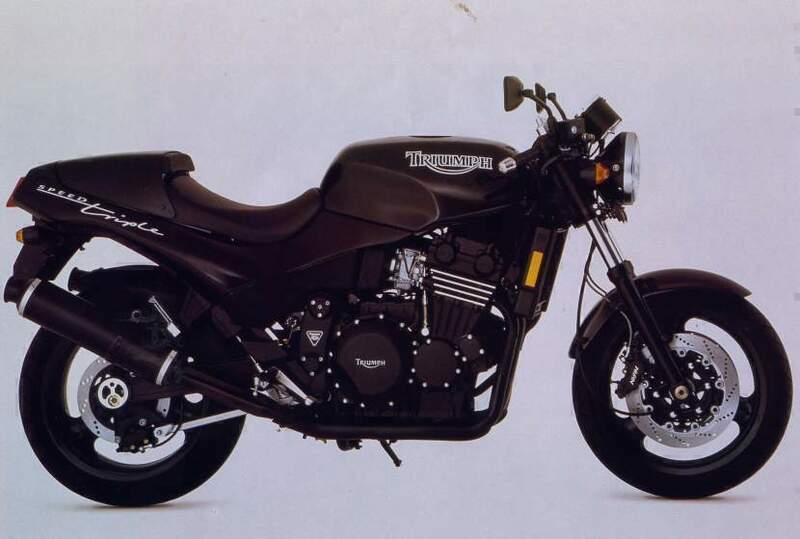 This is the bike that made Triumphs desirable and edgy once more whilst still keeping the solid build quality and modular engine concept. Nice though the Trident and Daytona were, this was the bike that turned heads wherever it turned up. Some European markets received the Speed Triple with a 750cc engine, but the majority all used the 900cc lump. Shortly after launch, the bike was given its own race series with many of the bikes sponsored by dealers. Ron Haslam was heavily involved in getting the bike prepped for racing.